I love doing simple spring time kid’s crafts. 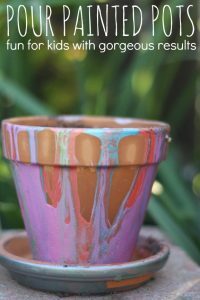 When Miracle-Gro Gro-ables reached out to us (a Happily Ever Mom sponsor) it inspired us to buy some pots and start crafting! Gro-ables have small seed pods that have everything you need to grow fruits, veggies, and herbs. Just plant, water, and watch your plant grow. 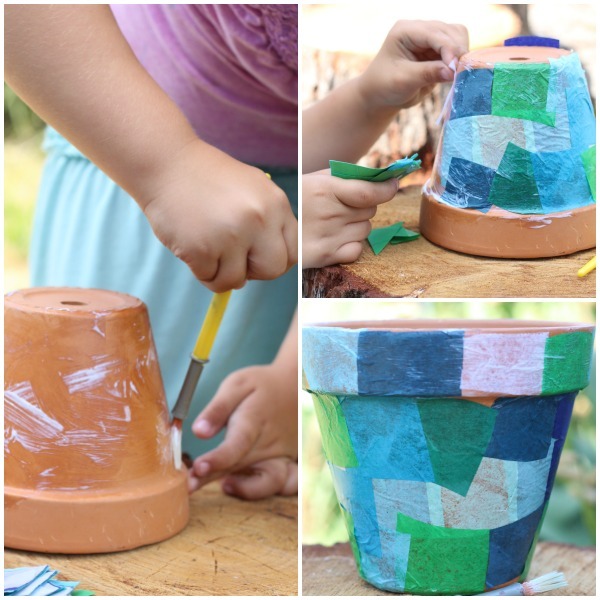 It’s the perfect project for kids to do in the spring! Not only that, but each Gro-ables is guaranteed to grow, so kids will get a chance to actually watch a seed grow into something edible. Because of the Gro-ables Project, a movement to share the joy of gardening and growing by doing hands-on projects with kids, we decided to get outside and start planting. 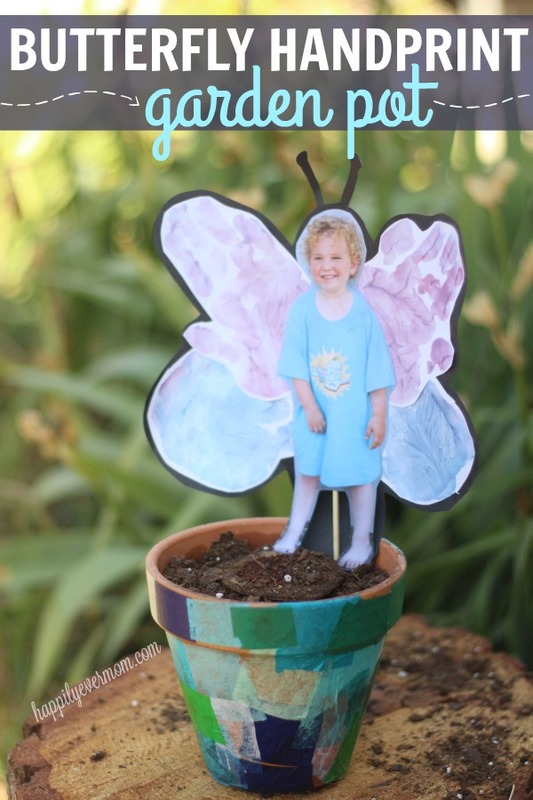 There’s some really inspiring projects over at the Gro-ables projects, but here’s what we made: a butterfly handprint garden pot. Join the movement too and come back to share with us what you did with your kids! Let me start by saying that Gro-ables is the answer to this busy Momma’s prayers. Spring is a time when I’m constantly outdoors with my kids, but I often skip gardening because I don’t know where to start. Gro-ables makes it so easy to start planting RIGHT AWAY with your kids. Not only that, but the Gro-ables project is encouraging families everywhere to get outside and do a hands-on project with kids to share in the joy of growing their own food. 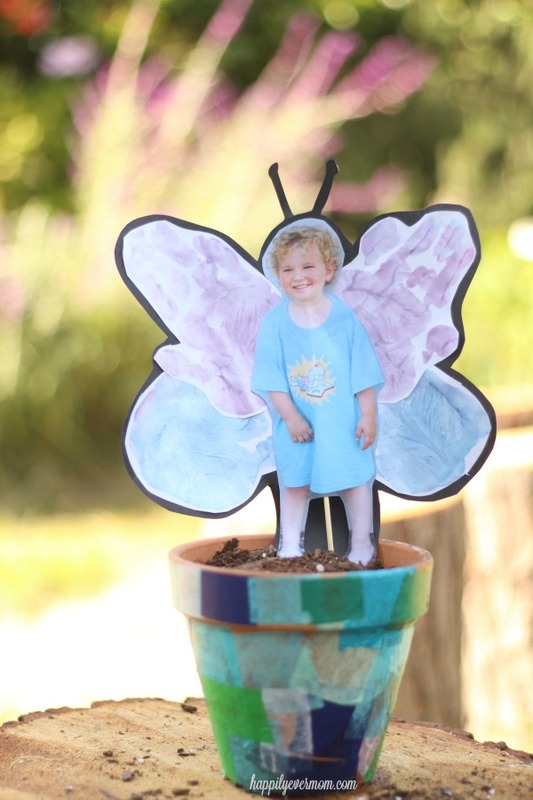 Our Gro-ables project is these adorable butterfly handprint photo garden pots! It’s not only perfect as a gift, but it’s a great way to get others excited about the Gro-ables project too. Don’t forget to grab your pack of Gro-ables before you start! We started off by making the handprints. My daughter rubbed paint between her hands and made four handprints. Let that dry while you start to decorate the pot. Cover the pot in clear glue. Cover in tissue paper squares. Seal the tissue paper squares with a coating of clear glue. While the pot dried, I printed the photo of my son and started to make the butterfly. Cut out the photo and handprints as tightly as you can. Turn over and glue the first two handprints to the back of the photo. 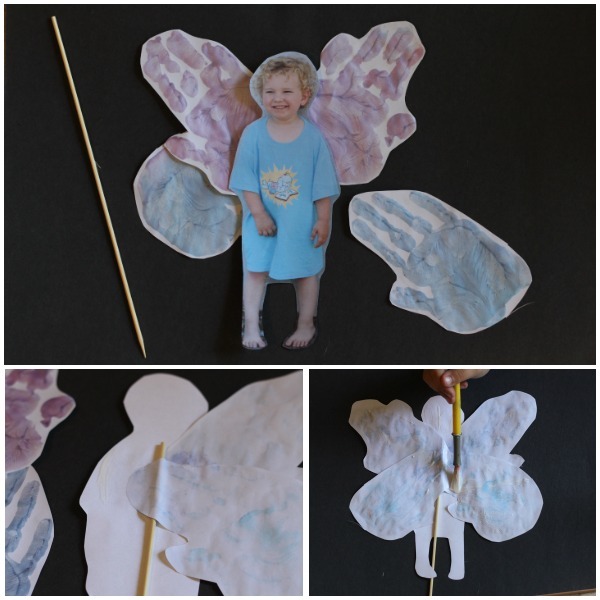 Glue the other side of the butterfly handprint wings to the back of the photo. Cover the back with glue. Turn over and press onto construction paper (we used black). Now, it’s time to plant!! Head back to your pot and fill with potting mix. Then, dig a small hole in the middle to place your Gro-ables pod. Rip off the label on the Gro-ables pod and place it in the hole. That’s it! Your plant with grow within 1-2 weeks as guaranteed by Gro-ables. Once your butterfly photo is dry, stick it securely into the potting mix. We love that our kids got to do a hands-on project that will result in some yummy tomatoes in just a few weeks! What’s your favorite way to garden with you kids? And, don’t forget to join up with the Gro-ables Project and start your own project today!